No matter, you have installed the locks in your home, office or vehicle, after one time, it needs to be changed. The best quality locks work for a long time for sure. But, when it shows some minor problem, it indicates that you should install the better quality locks. Obviously, if you don’t understand the worn out signs, you could face problems like theft threat or loss of personal and valuable assets. Being an owner of your property, it is your responsibility to inspect the security locks on time and change it if required. In order to prevent yourself from the loss of your assets, you need lock replacement after a specific time period. First of all, if you have still installed the traditional locks, you have to change it. Because, the traditional locks are no longer enough to protect your belonging. Almost all kinds of old locks are easy to break in. Are you second time going to repair your lock? If yes, you should understand your lock has lost the ability to secure you. Again and again repairable locks become easy to break in. Most of the time, the locks get jammed due to the winter season and this issue you can resolve by providing lubrication or heat up. If your lock is getting jam in other situation, it may become rusty and rusty locks are unable to secure your property. If you are ignoring these symptoms in your security systems, you are just inviting the theft issues. 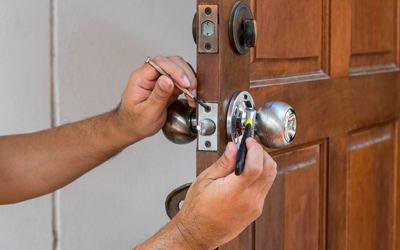 In order to prevent your family and belongings, you can get the assistance of St. Albert 24/7 Locksmith. We provide installation of high-security locks including magnetic locks, padlocks, key switches, key locks, panic bar, deadbolts, lock-set and many more.